It is hard to describe what hacking is to someone who has no idea what it is. 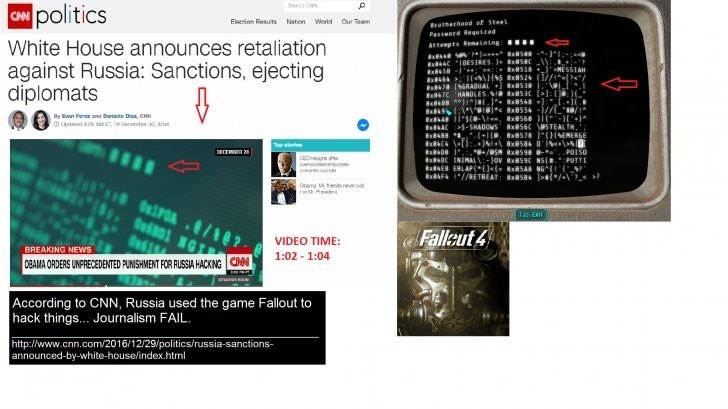 In an interesting choice, CNN uses Fallout 4 screenshots to show how Russia hacks things. Since most people aren’t sure what hacking is, this works well enough. They talk about hacking and while they do so, the network rolls b-roll footage from hacking scenes. Well, CNN’s approach was slightly different. They stole footage from one of the most popular video games of the year and prayed that no one would notice. The story on CNN was illustrating how President Obama was ordering sanctions against Russia since they allegedly had cyberattacks against the United States. While doing so, CNN grabbed screenshots from the super popular video game Fallout 4. It was first spotted by users on Reddit. Gamers that play the game will instantly recognize the screen that they used from the game. 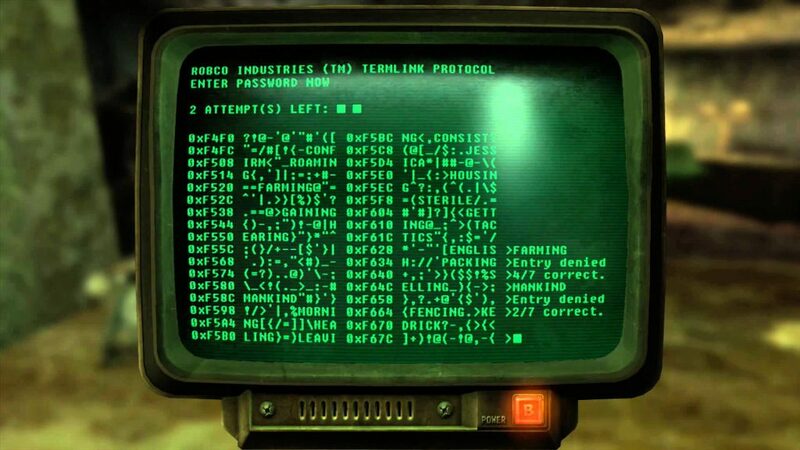 In Fallout 4, along with other previous versions of the game, players are able to hack computers to gain access to doors and safes. The person puts a word puzzle together where the player puts together a jumble of random words and characters. While it is fun, it is absolutely nothing like real hacking. This is what makes the image perfect for news viewers who nothing about hacking.